Ahead of Olympiacos’ headline duel with AC Milan in the 2018/2019 UEFA Europa League group stages, AGONAsport takes a closer look at the Italians and their current state of affairs. Watch LIVE from AGONAsport: Milan - Olympiacos, UEFA Europa League matchday 2 on Thursday, October 4th. Details here. In their glorious 118 year history, AC Milan have become one of the world’s most successful clubs with a glittering trophy cabinet, however in recent times the Italian giants have lost their status of a top team. While the organisation itself is still regarded as elite, the team have had little success on the pitch, not competing in the UEFA Champions League since the 2013/2014 season and struggling to make a title challenge in Serie A. In the 2017/2018 UEFA Europa League, AEK Athens held their own against Milan, registering two 0:0 draws in the group phase. However, when you take a look at Milan’s list of honours, you realise the magnitude of the club. Having been formed in late 1899 by Englishmen Alfred Edwards and Herbert Kilpin, Milan have claimed 18 Serie A championships alongside seven Champions Leagues, five Italian Cups, five UEFA Super Cups and one FIFA Club World Cup. Over the years, the Rossoneri have boasted the likes of Paolo Maldini, Andrei Shevchenko, Franco Baresi, Kaka and Rui Costa on their books, with the superstars leading the club to both domestic and continental glory on many an occasion. Interestingly, Milan last tasted European glory on Greek soil in 2007, beating Liverpool 2:1 in the showpiece match to gain revenge for the defeat in the legendary 2005 Champions League final in Istanbul which they lost on penalties. As a player, Gennaro Gattuso was known as a pitbull, determined midfielder, adding grit to a slick Milan team and always standing out with his overwhelming desire and passion. Now 40 years of age, Gattuso was handed the role as Milan head coach in November 2017 after he won two Serie A championships and UEFA Champions Leagues with the club in his playing days. Gattuso enjoyed a strange spell as OFI boss in 2014, often losing his temper in press-conferences and forced to leave after the Cretans fell into financial crisis. After that, Gattuso managed at Pisa and coached the Milan reserves until he was appointed manager of the senior side. Nowadays, Milan don’t have a Kaka or Maldini in their squad, but they do possess talented players on the roster and the standout figure has to be Argentinian striker Gonzalo Higuain. In a surprise move, the 30-year old joined Milan on loan from Juventus this summer, receiving the responsibility of the team’s main goal threat. So far, he’s made a decent start to life at the San Siro, scoring in the victory against Dudelange in the Europa League and grabbing two goals in four Serie A matches. He will cause the Olympiacos defence an all manner of problems. Turkish midfielder Hakan Calhanoglu is the creative force in the middle of the park and can unleash wicked shots from distance. Born in Germany, the 24-year old opted to represent Turkey through his family heritage, playing in 36 matches with the national team and contributing with nine goals. Calhanoglu is a set-piece specialist and knows how to pick a killer pass. 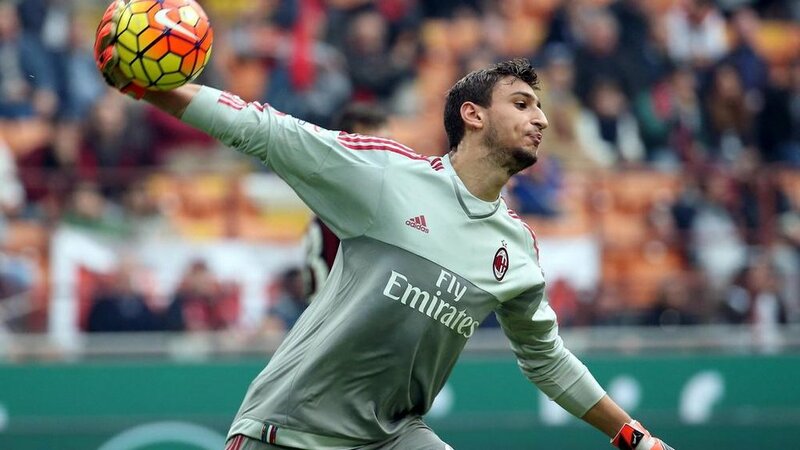 Incredibly, goalkeeper Gianluigi Donnarumma is still a teenager (19 years), but it seems that he’s been around for a very long time. Tipped as the heir to Gianluigi Buffon’s throne, Donnarumma was put on a pedestal from a young age, and he has been guilty of committing sloppy mistakes and accused of becoming greedy. Nevertheless, he’s Milan’s number one and undoubtedly has the potential to turn into a world class shot stopper. Naturally, Milan’s main goal is to finally be competitive in Serie A again, however they’ve made an indifferent start with only two wins in six matches. 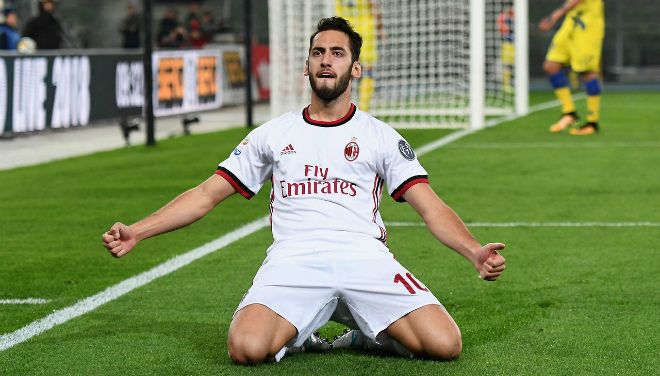 On the weekend, the Italian club thrashed Sassuolo 4:1 to pick up a well-needed three points, and they did edge past Dudelange 1:0 on matchday one of the UEFA Europa League with Higuain saving the Rossoneri from embarrassment. They are favourites to emerge from Group F with Olympiacos and Real Betis expected to fight for second spot.